Willamette Humane Society is excited to announce The Keeping Pets in Homes Project, a 2017 community program made possible through a generous PetSmart Charites grant. 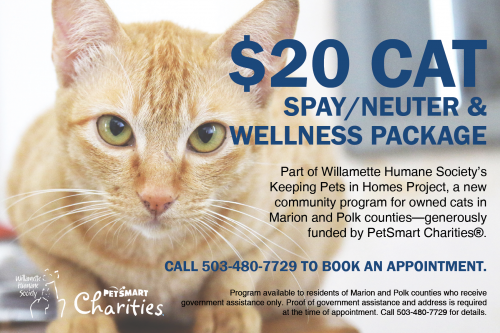 Through the program, residents of Marion and Polk Counties who qualify for government assistance will be eligible for a $20 feline wellness package for owned cats. The package includes a spay or neuter procedure, as well as necessary vaccines such as rabies, deworming and flea treatment. 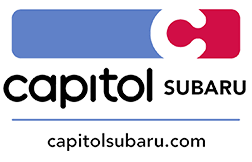 Please note, this program is only available to residents of Marion and Polk counties who receive government assistance. Proof of government assistance and address is required at the time of appointment. Limited number of appointments available. Ready to book your appointment? Call the Willamette Humane Society Spay and Neuter Clinic at 503-480-7729 today!